Global 99 is an investment company with its Head Office based in London,UK. Our business covers a wide range of selected properties in the most distinguished, strategic cities in Europe, Asia and Africa.The company was recognised by the mainstream market not long after entering the market.Building on our success, both Partners decided to expand the business into the real estate market in the Middle East, the Far East, Turkey and nearby regions by establishing new offices in Abu Dhabi, Dubai, Shanghai and Hong Kong becoming a recognised international corporation under the name of “Global Ninety Nine Investment L.L.C”. Our aim is to introduce the most profitable real estate opportunities to our clients and/or investors in many of the leading cities in the world. We proudly present to our clients/end-users the most promising and successful luxury villa project from Dubai – Jumeirah Luxury. Global 99 London Investment will participate as Associate Sponsor and Exhibitor at LPS Beijing 2018, the 17th edition, this year on June 22-24th at the Wanda Vista Beijing. We sincerely invite you to visit us at booth A02 and meet our property experts, get more detailed information of Jumeirah Luxury. Aldar’s Development leverages its diverse 76 million square metre land bank across Abu Dhabi to develop property in four real estate segments. Aldar also tenders to project manage third-party developments on a fee basis. Aldar’s land bank provides many advantages from a development perspective and creates optionality as to how and when land is developed. This translates into a strong development pipeline that can mitigate the different phases of Abu Dhabi’s perpetual real estate cycle meaning that Aldar can expect development opportunities throughout the cycle. Aldar has delivered 24,000 homes over the last 13 years. Its approach is to not only provide residents with a home but a community so those who reside in Aldar’s properties become part of an environment featuring gymnasiums, schools, medical centres, F&B outlets and education institutions. As the master developer, Aldar is currently focused on the long-term vision and development of five key destinations: Yas Island, Al Raha Beach, Reem Island, Alghadeer and Saadiyat Island. The value of Saadiyat Island was more recently reinforced by the opening in November 2017 of the Louvre Abu Dhabi, to much international acclaim; and with Saadiyat Island’s cultural district to be extended further through the development in the coming years of the Zayed National Museum and Guggenheim Abu Dhabi, the growth opportunities on offer are very clear. Aldar Properties is the leading luxury property developer in Abu Dhabi. This June, the Aldar team will showcase at LPS BEIJING 2018 as Main Sponsor and Exhibitor, bringing you a series of new development projects. You are welcome to visit their booth A03 to talk face-to-face with experienced property professionals from the Aldar Properties team. Guidelines: Mohammed Bin Rashid Al Maktoum City, District One will showcase at LPS Beijing 2018 this June as Associate Sponsor and Exhibitor, presenting you the new projects that their flag has to offer. In this edition, the editor provides to you the LPS Exclusive Interview with Mr. Mohammad Abdul Nasser Al Khayat, Vice President Commercial and Freezone, Meydan Group LLC. Mohammed Bin Rashid Al Maktoum City, District One – part of master development Meydan – is an exclusive residential destination comprising mansions, villas and apartments. The luxurious & elegant lifestyle community is located minutes away from Dubai International Airport and Dubai International Financial Centre; a premier destination for those that aspire to live extraordinary lifestyles. Minutes away from the glistening Crystal Lagoons, each of District One’s eighteen distinctly styled Mansions is meticulously designed to ensure aﬀluent tranquil living in glorious surroundings. Whether it is a traditional arabesque ambiance with a modern twist you’re looking for, open spaces and artistic minimalism you’re seeking or simply timeless European elegance – you’ll soon discover that extravagance is simply a way of life in these magnificent homes. Imbued with smart functionality and elegant aesthetics, District One Villas promise an unparalleled lifestyle offering refined elegance while reflecting the individual taste. From the vast captivating architecture, right down to the fine details, these homes create the perfect ambience for distinctly luxurious living, every single day. Residences: a one, two and three bedroom apartments in low and mid-rise towers spanning four to sixteen stories from the ground up. These contemporary cutting-edge homes are overseeing the stunning crystal lagoon and neighboring lush green corridors, and exposed to the natural light streaming through ceiling to floor windows bathed in natural light streaming through ceiling to floor windows giving you a relaxed and tranquil ambience. The beautiful, luxurious community offers the most central freehold villa and apartment properties in the heart of the city’s centre. It crystal lagoon, a boardwalk, cycling and running track, sweeping parklands and breath-taking architecture. The 7-km Crystal Lagoon at District One offers residents exclusive access to swimming, paddle boarding, and other non-motorized aquatic leisure activities. With over 8-km of scenic cycling and running tracks sheltered by tree-lined avenues looping seamlessly around the community, staying healthy will be the preferred lifestyle. The wide-spread area dedicated to open and green space promises rejuvenating, health-affirming and boosting the overall quality of life. The lush greenery will result in to reduced stress levels, a greater sense of connectivity, a healthier body and a fresher mind. Mohammed Bin Rashid Al Maktoum City – District One is located minutes away from many of Dubai’s world-class attractions, landmarks and transport links like Dubai International Financial Centre, Dubai World Trade Centre and Dubai International Airport. District One is a tranquil and a peaceful destination, allowing for relaxation and peace of mind away from the fast-paced busy life in Dubai. Home owners will enjoy a spacious house with over 26 milion Sqft of dedicated open spaces, parks, lawns, green corridors and recreational spaces. Read a book, take a walk, relax, meditate and practice your yoga in a quiet beautiful natural surroundings and unwind at the Crystal lagoon. The 7-km Lagoon offers residents exclusive access to swimming, paddle boarding, and other non-motorized aquatic leisure activities. With over 8-km of cycling and running tracks, staying healthy comes naturally at District One. Whether you fancy a morning run, afternoon jog or an evening cycling, you will be encouraged to do that right at your door step with the perfect ambience. At LPS, we will showcase Mohammed Bin Rashid Al Maktoum City, District One Mansions, Villas and Residences. The focus will be mostly on Mohammed Bin Rashid Al Maktoum City, District One Residences; a one, two and three bedroom apartments in low and mid-rise towers spanning four to sixteen stories from the ground up, with prices starting at USD $300,000. Mohammed Bin Rashid Al Maktoum City, District One Mansions and Villas; come in three distinct architectural styles – Contemporary, Mediterranean styles and Modern Arabic. It is essential to consider investing in a strategic location that links to the major shopping areas, health facilities and entertainment areas whether you are buying the property for personal use or as an investment. You will also ensure that the development will get you a good return on investment (ROI). It is essential to be surrounded by key locations in Dubai, such as Dubai International Airport, Dubai International Financial Centre, and Dubai World Trade Centre. In addition to District One being surrounded by these important locations, it is also strategically located with a direct link to Al Khail Road as well as Sheikh Zayed Road. Do a thorough research about the historical investment stories and the current market situation and the future outlook. It is important to know the area and the reputation of the real estate developer when buying luxury property. Mohammed Bin Rashid Al Maktoum City, District One is part of master development Meydan; which has been operating for many years in Dubai with numerous distinguished and popular projects in the city such as; Meydan Racecourse and Grandstand, The Track a 9-hole floodlit golf course, and The Meydan – 5 star luxury hotel. Always look for developments that offer access to premium lifestyle benefits such as a gym, schools, mosques, and attractive surrounding facilities. This will help you drive up resale value in the long run. In addition to the unique lifestyle features like the Crystal Lagoons, cycling and running tracks and the open green spaces at District One you will find mosques and schools to premium retail brands, F&B outlets and supermarkets within the community. In order to purchase a property at the exclusive and sophisticated Mohammed Bin Rashid Al Maktoum City – District One, we have made the process extremely simple and fast. We will simply request for few documents to be submitted to us in addition to only 10% booking amount. Just like that, they can purchase at District One and have their own property to enjoy all the unique features provided by this luxurious lifestyle community and enjoy the key landmarks surrounding the area. Thank you very much, we look forward to welcoming you soon at our booth D67 in LPS BEIJING 2018, this June 22-24th at the Wanda Vista Beijing. Global 99 is an investment company with its Head Office based in London, UK. Our business covers a wide range of selected properties in the most distinguished, strategic cities in Europe, Asia and Africa. Building on our success, both Partners decided to expand the business into the real estate market in the Middle East, the Far East, Turkey and nearby regions by establishing new offices in Abu Dhabi, Dubai, Shanghai and Hong Kong becoming a recognised international corporation under the name of “Global Ninety Nine Investment L.L.C”. We proudly present to our clients/end-users the most promising and successful luxury villa project from Dubai – Jumeirah Luxury. Featuring some of the most in-demand Dubai properties, Jumeirah Luxury is located adjacent to Al Khail Road, with the main entrance standing near Sheikh Mohammed Bin Zayed Road. The development’s location was strategically selected at a central point to be easily accessible from different parts of the city. Minutes away from Palm Jumeirah and Dubai Marina, Jumeirah Luxury is also a short drive from some of Downtown Dubai’s hottest attractions, nightlife venues, mouthwatering eateries and blooming shopping districts. The development is also situated near the city’s most thriving business districts and educational facilities and can be reached from both Al Maktoum International Airport and Dubai International Airport through the nearby highways. The Expo 2020 and Dubai Metro line are a short distance away from the estate, ensuring Jumeirah Luxury’s community remains an integral part of the Dubai landscape. “Jumeirah Luxury,” a collection of 291 luxurious townhouses situated adjacent to the “Fire” Championship Golf Course, the striking new residential development will comprise 160 Golf Units, 97 Flower Units, and 34 Water. Designed to cater to an array of requirements, the townhouses feature clean lines and natural earth tones, with the minimalist interiors blending seamlessly with the surrounding environment to create an effortless synergy of indoor/outdoor living. Large gardens can include a swimming pool, Jacuzzi, outside kitchens, barbeque areas and outdoor spa facilities as well as roof terraces providing panoramic views. Alongside rustic charm, each resident has been designed to ensure smart, secure and sustainable environment. Technological features are managed via an App, with Bluetooth locks that can be controlled remotely, automation systems, energy optimization, smart cooling, and heating. Outside, the gardens are equipped with solar power and intelligent irrigation systems that regulate heat and moisture levels. Other sustainable features include eclectic carports, wastewater technologies, organic waste management and ecologically sourced furniture. Fire safety and CCTV security are also well considered, with the option of real-time surveillance, light sensors, panic buttons and direct contact with the police and fire department in the event of an emergency. Building a sense of community has been crucial while creating Jumeirah Luxury, and this will be achieved through the extensive array of lifestyle facilities. Residents will be able to walk and jog around communal ‘gardens of the world,’ themed around countries from all corners of the world. A central square provides a welcome meeting place, while dedicated areas for an open gym and children’s play. A community center offers a convenience store, restaurant, delicatessen, and spa. Besides, residents will have access to the world-class amenities of Jumeirah Golf Estates, including the Earth and Fire championship golf courses, a wealth of dining options, health and wellbeing facilities, and a golf pro shop. I have launched many fantastic Real Estate developments worldwide, “Jumeirah Luxury” is by far one of the best I have been involved with. A great blend of the elements Earth and Fire, great orientation and fantastic setting. I love the modern contemporary intelligent design, an innovative optimization of the layout. The Townhouses will appeal to the investors and the End-users. The Smart, Safe and Sustainable “Jumeirah Luxury” is distinct, every room is spacious, en-suite, storage, double shower, roof access, beautiful master, walk-in closets, sky rooms, decent maids’ rooms and great in and outside living. Views are stunning, from the garden you have a direct connection to the Golf, Gardens and/or Lakes. The Smart, Safe and Sustainable and carbon consciousness gives a distinct added value. Besides its proximity to the Jumeirah Golf Estates Clubhouse, “Jumeirah Luxury” has its own features and facilities. Gardens of the world, open gym, community center, forest, water features, lake, town plaza, kids play areas, and restaurant, amongst other. The market is focused on low-ticket prices and payment plans after the handover. Developments do not forget that it’s about intelligence and quality in all aspects. Although we have innovative payment plans after handover and an attractive price, this is not our only Unique Selling Point that we would advertise and/or focus on. Prices start from AED2.3 million with innovative payment plans. The community is scheduled to be handed over in Q4 2019. Emaar, the leading luxury property developer from UAE will be showcasing some of their best and new projects at LPS Beijing 2018 as Main Sponsor and as an exhibitor. Today, the organizer is glad to present you an exclusive interview with the Managing Director of Emaar, Mr. Ahmad Al Matrooshi. Mr. Ahmad Al Matrooshi: Emaar Properties is the one of the world’s leading property developers and provider of premium lifestyles with a presence in over 12 countries. Listed on the Dubai Financial Market, Emaar brings a heritage of over 20 years, having pioneered the concept of integrated master-planned communities in Dubai, and taking the successful model to international markets. Emaar is renowned for conceptualising and delivering global icons such as Burj Khalifa-the world’s tallest building; The Dubai Mall, the world’s largest and most-visited retail and lifestyle destination; The Dubai Fountain, the world’s tallest performing fountain; and Dubai Opera, a leading cultural and entertainment hub. However, Emaar stands for much more than record-breaking development. We redefine lifestyles and bring a sense of belonging to thousands of home-owners, including many investors from China. Mr. Ahmad Al Matrooshi: Since 2002, we’ve handed over 45,900 residential units in Dubai and international markets, with over 34,800 units delivered in UAE alone. In 2017, we reported total revenue of $2.413 billion, a growth of 28 per cent over 2016, underpinning our strong financial fundamentals. Emaar has also successfully expanded to malls & retail and hospitality & leisure – with The Dubai Mall, one of the most-preferred destinations for luxury shopping by Chinese visitors, and the three hotel brands of Emaar Hospitality Group – Address Hotels + Resorts, Vida Hotels and Resorts and Rove Hotels – welcoming visitors from around the world. Each of the businesses under Emaar is growing at 20 to 25 per cent, with the group firmly positioned to double its growth in the next five years. Committed to timely project delivery and world-class quality of development, Emaar has several ambitious developments in Dubai that are envisaged as the cities of the future. These include Dubai Creek Harbour, which has at its heart a new global icon-Dubai Creek Tower, set to become the world’s tallest structure, a six square kilometre development only 10 minutes away from the Dubai International Airport, which has at its heart a new global icon, Dubai Creek Tower, and a world-class new retail precinct that redefines the future of retail. Emaar has an exceptional team of over 7,000 employees – dreaming big, working together with integrity and delivering fast. Mr. Ahmad Al Matrooshi: Emaar builds exceptionally designed world-class developments that bring transformational growth. Enriching lives by bringing a sense of belonging to residents, Emaar focuses on caring, delighting and delivering lasting value for its stakeholders. This is reflected in Emaar’s developments that stand out for their world-class design, superior quality of build, exceptional finishes and timely delivery. These values are underpinned in Emaar’s developments, including its 500-acre flagship Downtown Dubai, which is home to Burj Khalifa, The Dubai Mall and The Dubai Fountain, in addition to luxury hotels and residences. Today, Downtown Dubai is the world’s most visited lifestyle destination. Arabian Ranches, one of the most sought-after villa communities in Dubai; Dubai Marina, one of the largest waterfront developments; and Emirates Living, a compelling collection of villa, townhouse and apartment communities, all underline the differentiating strength of Emaar in assuring a quality lifestyle and long-term returns. 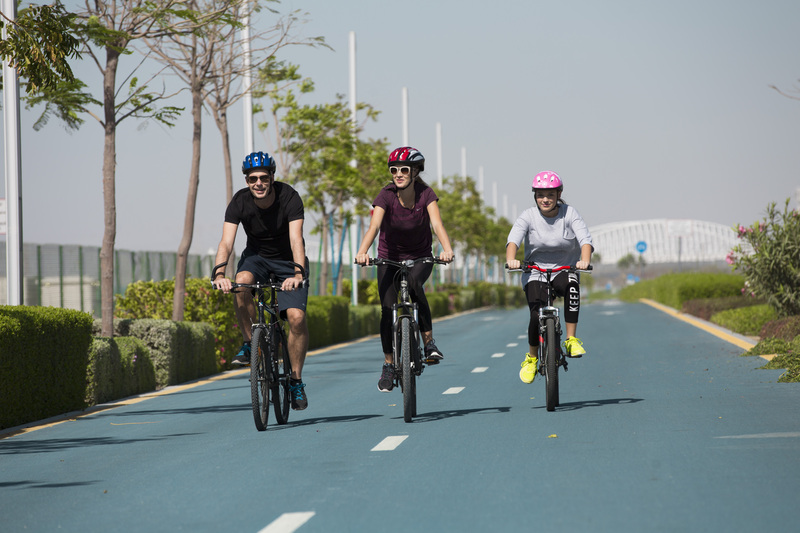 Defining a new approach to integrated living, residents in Emaar’s communities have every lifestyle aspect in close proximity – hotels, malls, leisure attractions and more – all in well-networked, connected developments that focus on the well-being of the residents. Mr. Ahmad Al Matrooshi: China is one of our key markets with several Chinese investors buying into and living in our communities. In fact, with the opening of visa on arrivals, the number of Chinese tourists to Dubai has grown more than 41 per cent in 2017 – and so has demand for our homes from Chinese investors, who are seeking a home away from home in a central location that assures them long-term value. For the Luxury Property Show in Beijing, we are not only presenting our established communities – such as Downtown Dubai, Arabian Ranches and Dubai Marina, we are also presenting our upcoming developments that have earned significant investor interest already. These include showcase of residences in Dubai Creek Harbour as well as Emaar South, which is set near the site of the Expo 2020 Dubai and near the Al Maktoum International Airport. We are also showcasing our Dubai Hills Estate development, which has a world-class golf course and offers a serene lifestyle amidst landscaped greens only 20 minutes from Downtown Dubai. Dubai Hills Estate will also appeal to Chinese investors for the new Dubai Hills Mall. We are also presenting Emaar Beachfront, our new private island destination that offers residents access to 1.5 km of private beach and seafront lifestyle amenities. Mr. Ahmad Al Matrooshi: Dubai’s property sector is considered one of the most robust in the world, recording attractive growth in 2017 and continued positive performance this year. We have been witnessing strong sales response to our launches of residential projects from global investors, especially from China. With the surge in tourism arrivals from China and the continued growth in bilateral trade and news business investments, more Chinese investors are seeking homes in Dubai. Our recommendation for Chinese investors is to look for three aspects – trust, credibility, and quality – and these form the very DNA of Emaar, which is underpinned by our track-delivery. Our customers trust in our ability to deliver our products on time with the highest quality. Where most developed cities offer rental yields of 2-3 per cent, Dubai offers rental yields of 5-6 per cent while also enjoying the lowest price per square feet. Moreover, when you consider that Dubai does not have any property-, income-, capital gains- or inheritance tax, it creates a very desirable market for investors. The key is to look for developer credentials – as highlighted by their delivery – and observed in the build-quality and post-sales customer service. Emaar is a customer-first company committed to the highest standards in design and construction, and in rapid project delivery. Our developments assure strong returns on investment and rental yields. Mr. Ahmad Al Matrooshi: With the increased interest from our Chinese clients, Emaar has set up dedicated channels for Chinese investors. We have a website in Chinese, where our customers can browse and familiarise themselves with our different communities and developments. We have Mandarin speaking customer service representatives who will lend further support. Additionally, Chinese customers can register their interest for any of our properties through both our website and WeChat account; soon afterwards, one of our property consultants will contact them to better understand their property needs. Finally, customers can also reach out to a list of our approved Chinese agents who will be happy to advise on the different properties we offer. Mr. Maan Al Awlaqi: Aldar Properties PJSC, is the leading real estate developer in Abu Dhabi, and through its iconic developments, it is one of the most well known in the United Arab Emirates, and wider Middle East region. Mr. Maan Al Awlaqi: Aldar is focused on creating communities. This means residential developments that place amenities at the heart, along with spaces that enable interaction with others in the community. Examples of this include the wide green spaces in West Yas, the open areas within Ansam, the rooftop pool at Al Hadeel, or the farm project, known as HARVEST in our recently launched Alghadeer masterplan. In addition to creating homes and communities, rather than simply “units”, our goal is to deliver desirable destinations. For Aldar destination means more than a location. Destination is something that is both aspirational and accessible. Taking Yas Island as an example, in one location you have one of the region’s largest shopping malls – Yas Mall, an award winning links golf course – Yas Links, F1 racetrack – Yas Marina Circuit, and a number of theme parks – Yas Waterworld, Ferrari World Abu Dhabi, and Warner Brothers. Supporting these are a range of real estate products, from the premium villa development of West Yas, gated community Yas Acres featuring villas and townhouses centered upon a golf course, as well as high end apartment communities, Ansam and Mayan, to the more affordable Water’s Edge launched in October last year. Mr. Maan Al Awlaqi: Chinese investors looking to diversify their investment portfolios will find in Aldar, and Abu Dhabi, and attractive destination for real estate investment. As the seat of government for the UAE, Abu Dhabi is a cosmopolitan business environment, and the beating heart of the country’s hydrocarbon industries, as well as being home to a number of free trade zones such as KIZAD – location of Emirates Global Aluminium – a national champion exporter. Abu Dhabi real estate is well regulated and governed by the Real Estate Law of 2016 ensuring a transparent, investor friendly environment. With its significant landbank, Aldar is a strong partner for corporates looking to set up headquarters within the UAE that can provide a strong staging post for access into the rest of the GCC – a growing economic bloc with nominal GDP in excess of USD1.5 trillion. Mr. Maan Al Awlaqi: Aldar Properties plans to present the following projects at LPS: Alghadeer, Reflection, Mayan, Yas Acres. Mr. Maan Al Awlaqi: For any investment, research is obviously important. Abu Dhabi is a relatively young real estate market, and as such the real estate on offer is increasingly heterogeneous in nature. This means that there is a wide spread of opportunities in which to invest. For international investors, it is also worth noting that there are specific areas designated as “investment zones” which are open to foreign investment. Real estate markets are cyclical and Abu Dhabi is no different. We believe that given where Abu Dhabi is in the current cycle, numerous opportunities exist to invest in luxury off-plan real estate in order to capitalise on the gains as we move towards the top of the cycle. Mr. Maan Al Awlaqi: The best thing for investors considering investing in real estate developed by Aldar is to visit us at the LPS event. Alternatively, all of our information can be found at Aldar.com and we would welcome the opportunity to talk to anyone looking to invest with us. Potential investors can of course call us on 00971 800 25327. UAE, coined as the “Hub of the Belt” is amongst the highest beneficiaries of China’s “One Belt, One Road Initiative”. China has been one of Dubai’s largest non-trade partners since 2014. Industry reports, from January 2018, ranked the Chinese investor amongst the top 10 most active investors in the UAE. Chinese contractors are amongst the top 5 contractors in the UAE. The Chinese are key players in construction finance. The 2ndlargest contractor in the UAE is a Chinese player, with projects worth almost $3M. Industry forecast estimate that Chinese firms will account for 6% of the total UAE contracts value between 2018 -2020; and 6% – 9% of contract values in Dubai. In Real Estate, according to recent reports by the Dubai Land Department (DLD), roughly ¼ of the transactions were from Chinese buyers, bringing in more than $3 billion. Chinese tourists to Dubai increased by 60% in 2017, according to Dubai Tourism & Culture Marketing (DTCM). Emirates Airlines, alone, offers direct flights to more than 13 cities in China. In the past 18 months, Chinese tourists are amongst the fastest-growing groups in the UAE, with growth rates as high as 49%. Industry experts predict that about 2.5M tourists will visit the GCC by 2021. Forecasts predict that 154M Chinese are expected to travel abroad in 2018, with the GCC attracting almost 2% of them. Mr. Hany Hussain, the Vice President – Sales of DAMAC Properties will be presenting DAMAC projects at LPS Beijing 2018. See You soon! As one of the largest real estate developers in the world, Emaar has redefined the property landscape in the United Arab Emirates through its pioneering integrated community developments in Dubai. Among Emaar’s world-class master planned communities are Downtown Dubai, with the breathtaking Burj Khalifa at its heart; Dubai Creek Harbour, home to the greatly anticipated Dubai Creek Tower – set to become an icon of the 21st century; Emaar South; Dubai Hills Estate; and Emaar Beachfront. Described as “The Centre of Now”, Downtown Dubai is Emaar’s flagship mega-development. At its heart is Burj Khalifa, the world’s tallest building, built and owned by Emaar. 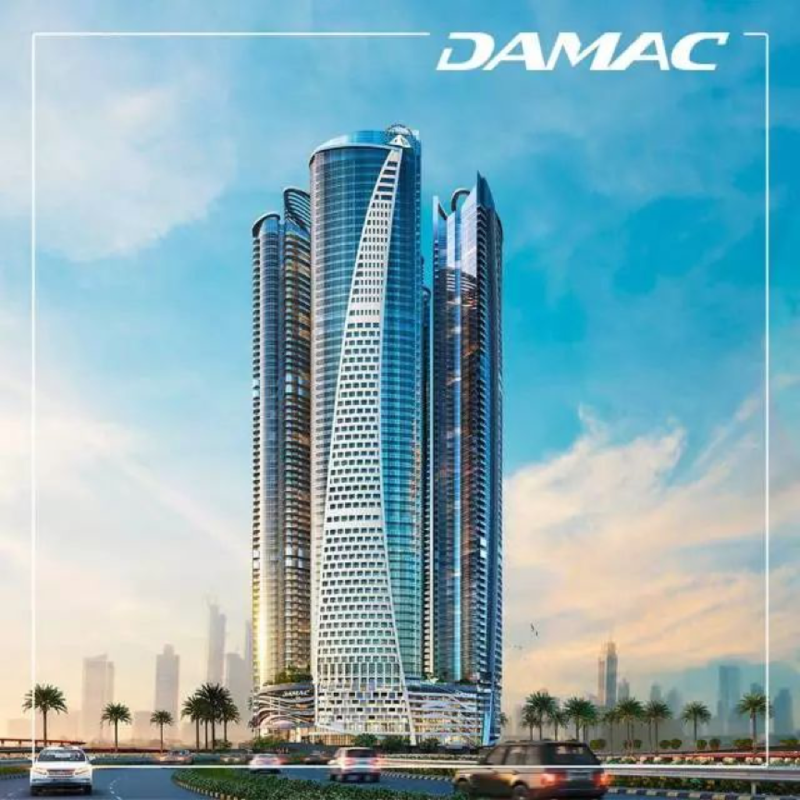 In addition, other world-class projects from Emaar like the world’s largest shopping and entertainment destination The Dubai Mall, the world’s tallest performing fountain The Dubai Fountain, and the majestic Dubai Opera are all located in Downtown Dubai. The thoughtful designed fusion of residential buildings, hotels, retail areas and business districts make Downtown Dubai a thriving city hub. Each year, the spectacular New Year’s Eve Gala held at the heart of Downtown Dubai, is among the world’s most anticipated events. Covering an area of over 2,000,000 sq.m., with over 90,000 residents and 35,000 homes, Downtown Dubai has cemented Dubai’s reputation as a truly global city and made Downtown Dubai the worlds most visited destination. The community projects of Downtown Dubai include for example Downtown Views Ⅱ, a gleaming tower only moments away from The Dubai Mall; Vida Dubai Mall, a tower with vibrant branded and serviced apartments; Act One | Act Two with unrivalled views of the Burj Khalifa; and Forte, a two-tower apartment building overlooking Dubai Opera and The Dubai Fountain. Emaar’s new mega-flagship waterfront community development Dubai Creek Harbour is the place where life, leisure and luxury meet. Situated at the banks of the Dubai Creek and home to the Ras Al Khor Wildlife sanctuary, which is among the few protected urban areas in the world, Dubai Creek Harbour is set to become the next frontier in contemporary work, life and play. With its planned 7,300,000 sq.m residential area, 900,000 sq.m mall & retail area, 700,000 sq.m of parks and open spaces and 300,000 sq.m office area, Dubai Creek Harbour is being built to exceed all existing limits of master planned communities, and will eventually become home to 200,000 residents. Its future landmark, the Dubai Creek Tower is set to become the new world’s tallest building on completion, and become a new global icon of the 21st century, a monument to the world and a product of great vision, innovation and construction excellence that will add to Dubai’s already significant skyline. The community projects of Dubai Creek Harbour include for example The Cove, waterfront apartments next to the Marina Yacht Club; Creek Rise, beautifully designed residential high-rises with unparalleled views overlooking the Island District’s Central Park; Harbour Gate with exclusive views overlooking the Dubai Creek Tower; and Creek Gate, contemporary apartments with private pools, gym, private parking and landscaped leisure deck. As a high-end living community, Dubai Hills Estate is a unique blend of elegantly-planned neighbourhoods centred around a magnificent 18-hole championship golf course. Stunning views of the Dubai skyline are complemented by lush landscaped parks and gardens, extensive winding walkways and spacious open areas. Diverse recreational facilities, including dedicated children’s play areas, provide a holistic approach to living well – making Dubai Hills Estate an ideal location for individuals and families of all ages and a true “city within a city”. 3 world-class schools, healthcare, hospitality and recreational facilities are also located in the communities. Dubai Hills Estate will host a total of 32,000 residential units of which 1,840 are townhouses and 896 are exclusive golf course villas. 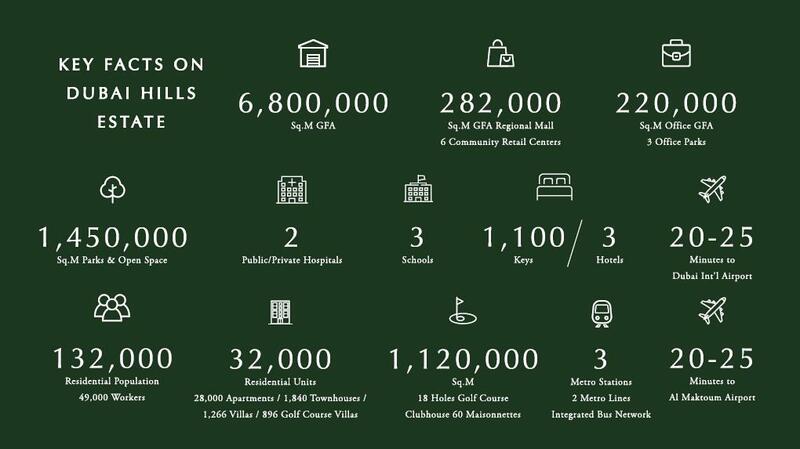 The community projects of Dubai Hills Estate include for example Park Point, with parks, nature trails and jogging tracks located around it; Acacia, a haven of calm and tranquility in the heart of Dubai; Maple 3 and Sidra 3, exclusive villas and townhouses with 3, 4 or 5 bedrooms; and Club Villas, located amidst the 18-hole championship golf course. Emaar Beachfront is the exclusive residential community positioned in the newly built Dubai Harbour, comprised of 27 exceptional towers. Residents of Emaar Beachfront will have exclusive access to a private 750-metre long strip of beach on either side of their home. It owns excellent public services, the largest waterfront shopping center in the region, an unparalleled seaside view, and seamless access to the Yacht Club. At Emaar Beachfront, residents can enjoy the beauty of The Palm islands, Atlantis, the skyline of Carlton Hotel and the Dubai Eye. The community projects of Emaar Beachfront include for example Beach Vista and Sunrise Bay, which boast exclusive apartments that rise above the crystal-blue waters of the Arabian Gulf, and have beaches for backyards. Emaar South is located within Emirates’ flagship urban project, Dubai South, the 145-square kilometre smart city that is set to become a pivotal hub in the global economy. Emaar South is a mixed-use development offering a new concept of tiered townhomes and standard townhouses. The standalone villas and apartments will have views of the stunning 18-hole championship golf course within the community, completing the offer of a genuinely fulfilling lifestyle. With its perfect entertainment facilities, convenient shopping environments, resort hotels and well-equipped community centers Emaar South is ideally positioned at the crossroads of Dubai and Abu Dhabi, only minutes away from the Expo 2020 site. The community projects of Emaar South include for example Urbana III, with innovative townhomes in the leafy surroundings of a championship golf course and Golf Views, a heaven of stylish apartments. 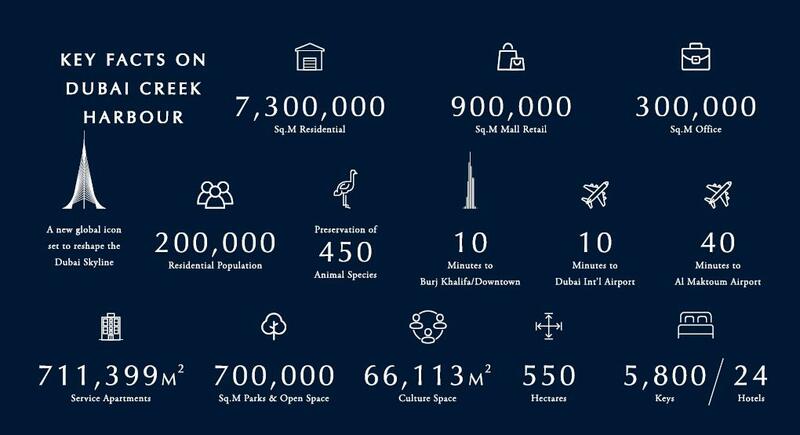 Welcome to the world of Emaar! When you visit Dubai, you experience a world that stands on its own. A world, where master-planned communities shape the landscape for millions. A world, that offers endless shopping opportunities with special-themed shopping malls; where world class entertainment creates unique experiences for the young and the old; and where the hospitality sets the standards for the rest of the world. Emaar, the owner and operator behind these world-class real estate developments, malls and hospitality assets has proved consistently with hundreds of successful projects – delivered by its subsidiaries Emaar Development, Emaar Malls, Emaar Entertainment and Emaar Hospitality – that all of its projects are created to the highest standards with exceptional design, and provide unique lifestyle experiences. The success story of Emaar Development started with the creation of its first master-planned community “Dubai Marina”, back in 2001. 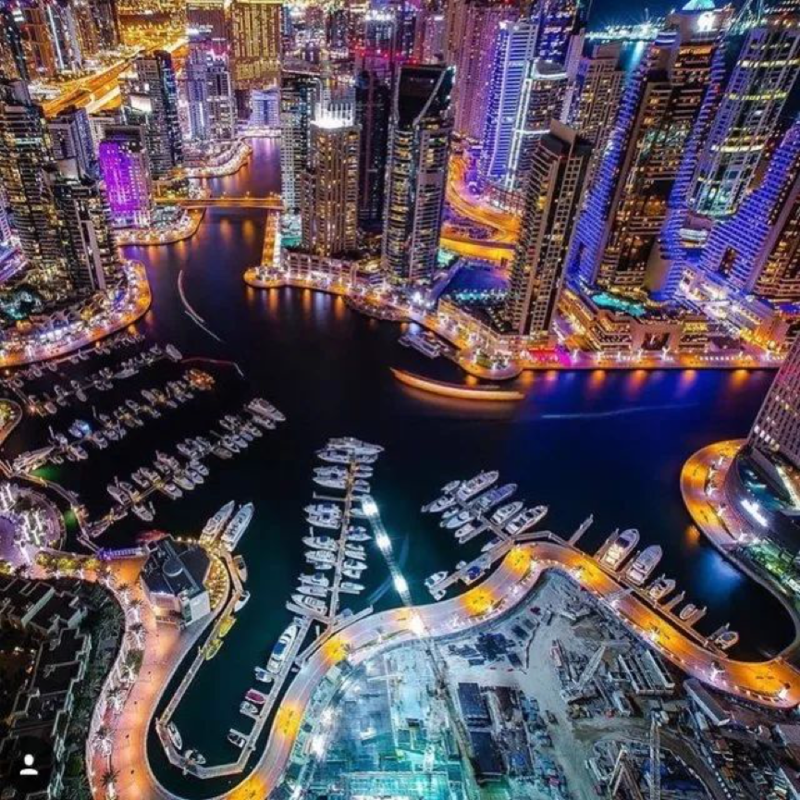 Up to this day, Dubai Marina is still the biggest man-made marina in the world. Emaar Development is probably best known for its flagship master-planned community “Downtown Dubai”, located in the heart of Dubai, with the Emaar built and owned world’s tallest building Burj Khalifa standing proudly at its center. Downtown Dubai is not only home to more than 90,000 residents, but has also become the most visited lifestyle destination in the whole world. Emaar Development’s approach to provide residents with a true sense of belonging with homes set around picturesque settings has proven successful over the last 17 years. Its residents become part of a thriving lifestyle environment that features retail centers, hotels, food & beverage outlets, educational institutions and healthcare centers. Future master-planned communities include Dubai Creek Harbour, Dubai Hills Estate and Emaar Beachfront. Dubai Creek Harbour is at the heart of a bold vision for Dubai. Situated on the banks of the historic Dubai Creek and only a 10-minute drive from Downtown Dubai, Dubai Creek Harbour will host 900,000 square meters of retail space and 700,000 square meters of parks & open space, set to define new standards for vibrant urban living. 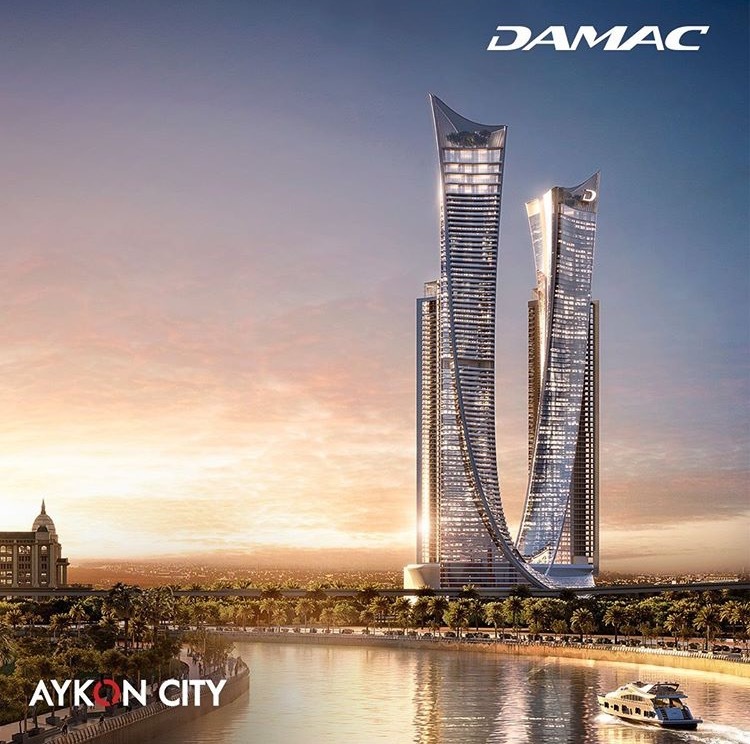 Built to exceed all limits and to become the new icon of the 21st century, the Dubai Creek Tower in Dubai Creek Harbour will reshape the Dubai skyline. Inspired by the lily flower and traditional minarets, the column is also accentuated by more modern architectural lines, unlike anything the world has seen before. Once completed, the tower will consist of several enthralling observation decks that offer 360 degree views of Dubai Creek Harbour and the city beyond. With Dubai Hills Estate, Emaar Development aims to launch an elegantly-planned neighbourhood centred around a magnificent 18-hole championship golf course. The area will feature a total of 32,000 residential units, including 1,840 townhouses, 896 golf course villas, 2 hospitals and 3 schools. Did you know that the world’s largest shopping mall, the Dubai Mall, hosts over 1,200 stores and is located right next to the world’s tallest building, the Burj Khalifa? Did you know that it was the world’s most visited shopping and entertainment destination with over 80 million visitors in 2015? And did you know that it was built and owned by Emaar Malls, a subsidiary of Emaar Properties? With a gross leasable area of over 5.8 million sq. ft. in Dubai, Emaar’s mall assets include the world’s largest shopping mall, The Dubai Mall; Dubai Marina Mall for residents and visitors of the Dubai Marina community; Souk Al Bahar, an Arabesque style dining and entertainment development in Downtown Dubai, and Gold & Diamond Park, a shopping destination dedicated to gold and jewelry. It’s most recent extension – the “Fashion Avenue” at The Dubai Mall adds another one million square feet for an additional 150 shops joining the mall. Delivering exceptional and unique experiences is the key promise of Emaar entertainment. Outstanding projects such as the Dubai Aquarium & Underwater Zoo or the Olympic-size ice rink in The Dubai Mall as well as the Dubai Opera in Downtown Dubai show only some of the first-of-their kind attractions developed by Emaar Entertainment. With the Dubai Fountain, Emaar Entertainment has created the world’s tallest performing fountain. At over 900 feet in length, equivalent to over two football pitches, the Dubai Fountain is situated on the 30-acre Burj Lake right next to the Burj Khalifa and performs to a selection of international melodies. The newly added VR Park with its Virtual Reality experience will be another game-changer in Emaar’s world of breathtaking entertainment experiences. Emaar Hospitality owns and manages a portfolio of hospitality assets and brands including Armani Hotels, the worlds first hotel designed and developed by Giorgio Armani, situated in the worlds tallest building Burj Khalifa; Address Hotels + Resorts, a premium luxury hotel and residences brand. Vida Hotels and Resorts, an upscale lifestyle hotel and residences brand; and Rove Hotels, a contemporary midscale hotel and residences brand. Being awarded with many international prizes such as “The Modern Luxury Hotel of the Year Award for Africa and Middle East 2017” for The Palace Downtown Dubai or “The Contemporary Luxury Hotel of the Year Award 2017” for The Address Dubai Mall demonstrates that Emaar Hospitality’s hotels, spas, dining and leisure clubs are internationally recognized for their outstanding, memorable lifestyle experiences. Among its most famous assets is the AT.MOSPHERE restaurant exclusively located on level 122 of the world’s tallest building, the Burj Khalifa. Mohammed Bin Rashid Al Maktoum City, District One, a part of master development Meydan, is an exclusive residential destination comprising mansions, villas and apartments. The luxurious & elegant lifestyle community is located minutes away from Downtown Dubai; a premier destination for those that aspire to live extraordinary lifestyles. District One brings together a crystal lagoon, a boardwalk, cycling and running track, sweeping parklands and breath-taking architecture. The beautiful, luxurious community offers the most central freehold villa and apartment properties in the heart of the city’s centre. The 7-km Crystal Lagoon at District One offers residents exclusive access to swimming, paddle boarding, and other non-motorized aquatic leisure activities. With over 8-km of scenic cycling and running tracks sheltered by tree-lined avenues looping seamlessly around the community, staying healthy will be the preferred lifestyle. The wide-spread area dedicated to open and green space promises rejuvenating, health-affirming and boosting the overall quality of life. The lush greenery will result in to reduced stress levels, a greater sense of connectivity, a healthier body and a fresher mind. Mohammed Bin Rashid Al Maktoum City, District One Residences; a one, two and three bedroom apartments in low and mid-rise towers spanning four to sixteen stories from the ground up. These contemporary cutting-edge homes are overseeing the stunning crystal lagoon and neighboring lush green corridors, and exposed to the natural light streaming through ceiling to floor windows bathed in natural light streaming through ceiling to floor windows giving you a relaxed and tranquil ambience. LPS: Can you please describe the Services of CIPA that you will showcase at LPS Beijing 2017? Cyprus has developed into a destination of choice both for doing business and living, offering international investors and domestic businesses confidence to invest, grow and prosper. With 2017 marking a new era for Cyprus, with a host of opportunities and potential, Invest Cyprus is intensifying its efforts of promoting the island abroad as an ideal investment destination in a variety of sectors, amongst them real estate. Real estate has traditionally been a key driving force of the island’s economy. Acquiring property in Cyprus, either as an investment or as a second home, has always been a popular choice among foreign investors. A combination of high quality of life, year-round sunshine and natural beauty, ease of doing business and investment incentives offer investors an attractive experience in terms of both living and doing business. Cyprus’ strategic location, natural beauty and wealth of resources have led to the repeated conquest of the island by various powers throughout the ages. The rich cultural landscape is reflected in the hundreds of archaeological sites and monuments located across the island, representing the numerous different historical periods in Cyprus’s evolution. A large number of museums in the towns and villages of Cyprus showcase a broad array of archaeological collections and cultural treasures from different time periods. Cypriots are known worldwide for their genuine and sincere hospitality and friendliness, but also for the famous Cypriot cuisine, based on the healthy Mediterranean diet. Recipes dating back hundreds of years offer delicious gastronomical experiences, particularly the “Cyprus Meze” which consists of a large number of different cold and hot “hors d’oeuvres” such as assorted dips, salads, meats, vegetables, as well as various fresh fish delicacies. High quality of life is without a doubt one of Cyprus’ most attractive attributes. Indicatively, the island was ranked as the 5th best relocation destination worldwide by a recent Knight Frank Global Lifestyle Review. Acknowledging the island’s safety and security standards, ValuePenguin has ranked Cyprus 5th worldwide and 1st among smaller Countries in its Safest Countries in the World study for 2015. The country offers excellent multilingual educational institutions, where courses are taught in English, French, German, Russian, Italian, Armenian and other languages. Cyprus has long established itself as a thriving business hub, with a vast array of investment opportunities in key growth sectors of the economy. The island’s ideal strategic location, advanced infrastructure and high quality of life do not only represent key reasons to relocate and live on the island, but are also at the heart of an investor’s choice to invest in Cyprus. The local infrastructure is ideally suited for business people who need to get things done. Thanks to its modern road network, extensive port facilities and two new international airports, travel and transport in and beyond Cyprus is fast, efficient and cost-effective. Cyprus, indeed, has all the right ingredients to maintain a strong and resilient economy, due to its small size, productive labour force, business friendly and flexible government. Cyprus offers an attractive and transparent tax regime, fully compliant with EU, OECD and international laws and regulations. Providing access to an extensive network of 60 Double Tax Treaties, maintaining a corporate tax rate of 12.5%, one of the lowest in the EU. LPS: Which advice would you give to Chinese buyers who are investing for the first time in Cyprus real estate? Invest Cyprus is at the disposal of any interested investor to provide all information and assistance required in all stages from conceptualizing to implementing an investment decision. Moreover, we urge all potential investors to visit our country and experience first-hand what it has to offer. We guarantee you will not be disappointed. Businesses and individuals considering investment into Cyprus have a partner on the ground at all stages of the investment cycle. Invest Cyprus is a non- profit national body and the government’s dedicated partner responsible for the facilitation of investments into Cyprus. In close collaboration with all government authorities, public institutions as well as the private sector and international experts, Invest Cyprus is the investor’s first point of contact. LPS: Why did you choose to exhibit at LPS? Invest Cyprus takes great caution in examining and choosing the most worthwhile events in which to participate. We have been participating at LPS Exhibition for years now, acknowledging and having experienced first-hand the high value-added offered by events of this calibre. In terms of quality of exhibitors, abundance of high calibre visitors from one of the most important markets worldwide in the field of real estate, but also in regards to the remarkable organisation and offering, LPS definitely ranks high in all parameters considered. With over ten direct flights daily connecting Beijing to Thailand combined with handy on-arrival visa procedures, Thailand is fast becoming a preferred investment destination for Chinese property investors. Reflecting on this trend, the leading real estate developers and agencies from Phuket, Bangkok, Koh Samui and Pattaya have confirmed their presence at the show. “Thailand is currently among the most popular Asian markets for China-based property investors”, says Mr Olivier de Treglode, the CEO of LPS. “The geographical proximity with China, the common culture, competitive prices for luxury homes and of course the famous lifestyle associated with Thailand have made Thai properties extremely attractive to wealthy Chinese buyers”. The popularity of Thailand among Chinese buyers keeps growing, and it is now the third most popular destination in Asia at LPS, only surpassed by Japan and Singapore, with 30.5% of Beijing-based investors considering a purchase in Thailand. Budget-wise, 27% of investors are eying properties priced between USD 500,000 to USD 1M, while 39% of them are eying properties priced between USD 1M to USD 2M, and 34% of buyers are ready to spend over 2M. An impressive line-up of Phuket key real estate players will join LPS Beijing 2017, allowing Chinese investors to browse through some of the best projects currently available for sale on the island. Bluepoint Condominiums has confirmed its participation to LPS Beijing 2017 and will introduce to Chinese wealthy investors its sea view luxurious condominiums located in Phuket. Offering a touch of serenity overlooking the buzz of Patong Beach and the sparkling Andaman Sea, Bluepoint Condos are located in one of the last available sea view sites on Phuket’s desirable west coast. Completely surrounded by five stunning beaches including the quiet southern tip of Patong Beach, the tranquil Tri-Trang Beach, and the island’s best kept secret beaches: Paradise, Merlin and Freedom beaches. Another Phuket-based exhibitor at the show will be The Aristo Group, that will present its latest Phuket development at the show: The Aristo Seaview Condo on Patong Beach. Rinthara Development Ltd Co. stands out from the competition due to its experience in hotel construction and management from Bangkok. This allows the company to strategize and choose prime locations that are suitable for both investments and self-living. Other confirmed participants from Phuket at LPS Beijing 2017 include The LUX Phuket, Villacarte and Art House. Villacarte will showcase some of the most amazing properties currently for sale in Phuket, allowing Chinese investors to browse through luxury villas located in the most demanded areas of the island. The LUX Phuket is a magnificent gated development comprising of nine ultra-modern pool villas located in one of the most sought after locations in Phuket. The Lux Phuket is nestled away on a beautifully serene piece of gently sloping land and has been designed in such a way as to ensure the highest level of privacy but yet is in very close proximity to Phuket’s world renowned white sand beaches, restaurants, nightlife, and a future planned up-market shopping mall. Art House real estate agency offers a wide spectrum of property related services and covers all areas of Phuket, allowing Chinese buyers to discover the latest developments available in Phuket, whether for luxury villas or condominium units. Koh Samui and Pattaya are attracting growing interest from China-based investors, offering them with alternative investments compared to Bangkok and Phuket. A wide range of Pattaya properties will be on showcase at the show thanks to the participation of Pattaya Foreigner Services, a Swiss-owned agency, that will showcase some of the best investment opportunities currently available in Pattaya. Another confirmed exhibitor from Pattaya, Emerging Trends Advisors is a global alternative investment company with over fifteen years experience in real estate investment and asset management. Koh Samui will also represented at the show, with the confirmed participation of Allure Luxury Residences & Spa. Nestled amongst the private road of Santiburi Samui Country Club Golf Course, sits Allure Luxury Residences & Spa, this gated community comprises of 38, three & four bedroom luxury Air-conditioned infinity pool villas, and 2 bedroom individual smaller villas with plunge pool with hotel facilities. MORE THAI PROPERTIES TO BE CONFIRMED SOON! More exciting names will be soon added to this impressive line-up of Thai participants. Additional participants from Phuket, Bangkok, Pattaya, Koh Samui, Chiang Mai, and Krabi will be announced soon. Thai companies participating at LPS Beijing 2017 will be facing over 6,000 targeted Chinese investors during the 3-day show and are ready to compete with the other paradisiacal destinations confirmed at the show, such as Indonesia, Philippines, Vietnam, Malaysia or Sri Lanka. For the latest updates and news, please follow our official Wechat account (LPS-China), or visit our website (beijing.lps-china.com). Chinese investors will be allowed to browse through some of the country’s best real estate projects by visiting the Entreprise Greece pavilion at booth D06. Greece is currently among the hottest European real estate investment destinations and keeps attracting more and more Chinese buyers. Switzerland is the country of honour at LPS Beijing 2017 and a prestigious VIP reception will be held on Saturday afternoon, June 17, at the 5-star Sofitel Wanda Beijing to celebrate the quintessential Swiss lifestyle. Supported by over 30 official media and show partners, the reception will allow select Beijing-based VIPs to mingle in a chic yet relaxed atmosphere encompassing the unique Swiss lifestyle, from luxury properties to high-end tourism and gastronomy. Held in the glamorous setting of the Sofitel Wanda Beijing, this invitation-only reception will allow local elites to mingle with high-profile Swiss attendees in an atmosphere dedicated to the very best of Swiss lifestyle, from tourism to gastronomy, properties, culture and fashion. The Luxury Properties Showcase Ltd. is delighted to announce that Jumeirah Golf Estates is the main sponsor of LPS Beijing 2016 to be held on April 22-24 at the Sofitel Wanda Beijing.With attractive growth rates and returns on investment, Jumeirah Golf Estates, host of the DP World Tour Championship – the Season Finale of the European Tour’s Race to Dubai, forecasts rental yields of 8-10 percent for its portfolio of apartments and 5-6 percent for its luxury villas. Capital appreciation currently stands at 20–30 percent annually for apartments and upward of 15 percent for villas. Situated 15 minutes from the world-famous Dubai Palm Jumeirah and only minutes from the Dubai Expo 2020 site and Al Maktoum International Airport, Jumeirah Golf Estates is the Middle East’s premier residential and golf community with ambitions to extend its passion for luxury into China. Jumeirah Golf Estates’ most recent development Alandalus is a collection of affordable luxury, Mediterranean-inspired apartments and townhouses, with prices starting from AED 597,000 / RMB 1,053,297*. With high quality, superior properties, the development extends affordable luxury housing to a new and fast-growing market of buyers in the UAE and across the world. With prices starting from AED 11,088,000 / RMB 19,562,754*, Jumeirah Golf Estates’ Redwood Avenue development offers a set of exclusive five and six bedroom villas, which are available to purchase with high-spec add-ons, including state-of-the-art audiovisual systems and custom Italian kitchens. Redwood Park (starting price – AED 2,970,895 / RMB 5,241,602*) features a collection of three and four bedroom townhouses overlooking the 11th and 12th holes of the Fire Course, complete with shared amenities including swimming pools, children’s play areas and BBQ facilities. Both of these developments are located in the heart of the community, where investors and residents can benefit from a range of offerings as well as access to its two championship golf courses, Fire & Earth, plus a new world-class Clubhouse and a soon-to-open retail centre. Phase A of the community is underway, consisting of 375 hectares of a 1,119 hectare land parcel. Phase A compromises of 16 unique communities, with more than 1,700 constructed and under construction properties -75 percent of which boast spectacular views of the golf courses. Bolstering the appeal and value of properties within the development, the region’s only European Tour Performance Institute offers budding golfers and residents alike the opportunity to cross paths and train with some of the globe’s leading golfers, including world leading golfer and Jumeirah Golf Estates’ brand ambassador, Henrik Stenson. France is the country of honour at LPS Beijing 2016 and a prestigious VIP reception –J’adore la France!- will be held on Saturday afternoon, April 23, at the 5-star Sofitel Wanda Beijing to celebrate the quintessential French lifestyle. Sponsored by the Monaco Tourism Board and Printemps, the reception will allow select Beijing-based VIPs to mingle in a chic yet relaxed atmosphere encompassing the unique French lifestyle. Held in the glamorous setting of the Sofitel Wanda Beijing, this invitation-only reception will allow local elites to mingle with high-profile French attendees in an atmosphere dedicated to the very best of French lifestyle, from tourism to gastronomy, properties, culture and fashion. The Luxury Properties Showcase Ltd. is delighted to unveil the official dates and venue of the 2016 edition of LPS Beijing. LPS Beijing 2016 will be held on April 22-24, 2016, at the 5-star Sofitel Wanda Beijing. It will be the 12th consecutive edition of LPS and will gather more than 120 exhibitors from 35 different countries. Since 2011, LPS Beijing was held at the Legendale Hotel located in Wangfujing. In order to allow more exhibitors and visitors to join the show, LPS Beijing is now moving to a bigger venue, as it will be held for the first time at the prestigious Sofitel Wanda Beijing. Located in the heart of Beijing’s central business district, the Sofitel Wanda Beijing is well known as one of the most luxurious addresses in town. “We are very excited to announce the cooperation with Sofitel Wanda Beijing”, explains Mr. Olivier de Treglode, the founder and CEO of LPS. “This new venue will allow the show to keep growing, while maintaining the 5-star level that is the trademark of LPS”. To be held in cooperation with Ferretti Group, the Bank of East Asia and the Monaco Tourism Board, LPS Beijing 2016 will once again unite the world’s most prestigious luxury property brands with the local elite. The 9th edition of LPS, Asia’s leading luxury real estate exhibition, took place from 24th -26th April, 2015, in Beijing in cooperation with Maserati, Ferretti Group and the Bank of East Asia. Over 5,200 highly affluent individuals from Beijing and Northern China attended the invitation-only event, which has been widely considered by exhibitors and guests as the best ever edition of LPS. The show featured an impressive collection of some of the world’s most exclusive and coveted luxury estates from China and around the globe, with over 35 participating countries. All the major luxury real estate brands were united under the LPS Beijing banner, from Christie’s International Real Estate to Knight Frank, Emaar, Colliers, Alain Pinel, Keller Williams, Venegas Miami, Luxury Portfolio, Ray White, Re/Max, Halstead, Kensington, Bayleys… and many more. In total, over 220 cities were showcased at the show, allowing privileged VIP investors to browse through some of the world’s most extraordinary destinations. All facets of luxury property were showcased at LPS Beijing 2015, from private islands to historical chateaux, ski resorts, properties with private golf courses, and modern luxury apartments. Immediate on-the-spot sales transactions have been reported by various exhibitors during the show such as Colliers International (7 units sold in London), Ray White Australia (9 units sold in the Gold Coast) and Delta Properties Dubai. Exhibitors all highlighted the increase of attendance levels and quality of contacts made. “We’ve been working with LPS for the past 3 years and we’ve found that it’s a great platform for brand building and to help us to promote our products throughout China. So we’re very happy to be here and we hope that we can continue our partnership with LPS” said Ms. Catherine Chen, Director of International Properties, Colliers International Real Estate China, the largest international properties agency based in China. “The invitation-only concept of LPS really suits us to a tee. We’re only high-end luxury and we’re not interested in any other segment of the market. So LPS is a nice fit for us.” Said Mr Zackary Wright, Senior Vice President at Christies International Real Estate, who this year presented exclusive properties from London, Australia and America, as Christie’s International Real Estate organized an exclusive pavilion at the show. Europe is attracting a growing number of Chinese investors, which in turn has brought exhibitors from all over the continent to the show; with the likes of Greece, Spain, France, Italy, Germany, Cyprus, Switzerland, UK, and Portugal all being well represented. “Exhibiting at LPS offered us a huge visibility; and we will come back again. The previous time we came to LPS, we had a lot of success with the clients who came to Portugal following the show.” Said Ms. Catarina Garcia, Director of Fine Homes and Luxury Properties at Re/Max Portugal, who will be exhibiting for the third consecutive time this coming September at LPS Guangzhou 2015.